The large format graphic reproduction and laminating capability of DRS makes us the ideal place to come for all of your indoor and outdoor banner needs of all sizes. Our state of the art process can reproduce your graphics and images in their true colors on a large variety of surfaces and sizes. Best of all, we can deliver your banners quickly and priced very competitively. A double sided banner should be just that one banner printed on two sides. However, most of our print competitors find it challenging to produce a double sided banner on one banner substrate. For most printers a double sided banner would require printing a second banner and adhering them together. Why does that matter to you, the consumer? To start, you will likely have to pay for the cost of two banners and the weight of your banner will double. At DRS our technology enables us to actually direct print on both sides of the banner, saving you both time and money. Our state of the art process can reproduce your graphics in unbelievable lengths. Our only limitation is the length of the material we are printing on. We have rolls as long as 100 feet. That means you could actually have a custom printed banner that is 100 feet long. Why settle for a poster or banner limiting your project to one or two colors. At DRS we add color economically. We can make your message really POP with our ability to reproduce just about any color you can imagine. And we can deliver your project at a price that you are sure to like because we are able to print in house without the overhead of many of our print competitors. 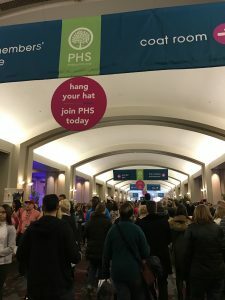 Whether you are printing a small banner or a jumbo sized banner – it should be in your brand colors and able to withstand the elements indoor and outdoor. When ordering your banner be sure you tell us the intended use so we ensure you are on the best materials to fit your needs and budget! By the way, if you are looking to print your banner on something other than vinyl we can print on just about any surface. Call our office to speak with a print specialist. This is not an official order form, rather a great starting point to discuss your project or request a free quote. Yes, I am attaching the file below. Yes, but I am only looking for a quote right now. No, I need you to help create the graphics.